To be honest, when I found out we were having a girl the reality was overwhelming! 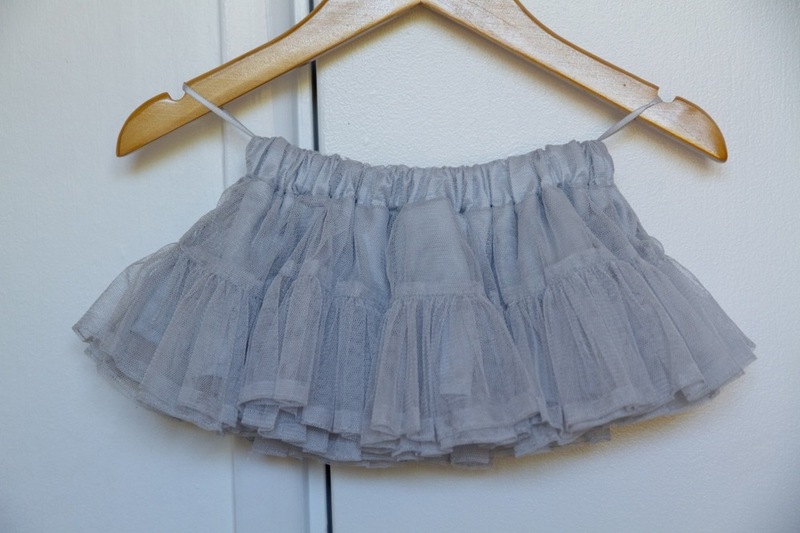 Though it was a dream come true, I had gotten pretty comfortable with my little man style and the frills and sparkles all seemed a bit too much. With a girl, it felt like there were so many options, I didn't know where to start. 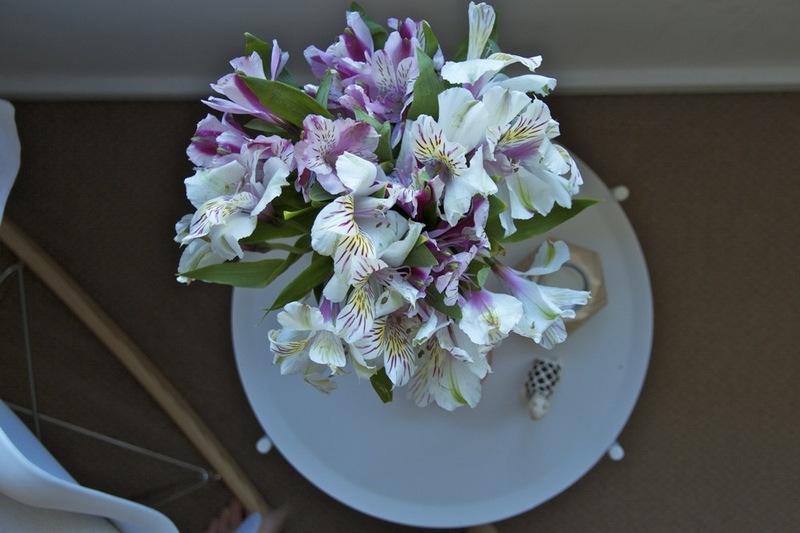 Then I fell in love with the one piece of furniture I didn't need - a cot. But this wasn't just any cot, it was timeless, classic and unforgettable, I had to have it. 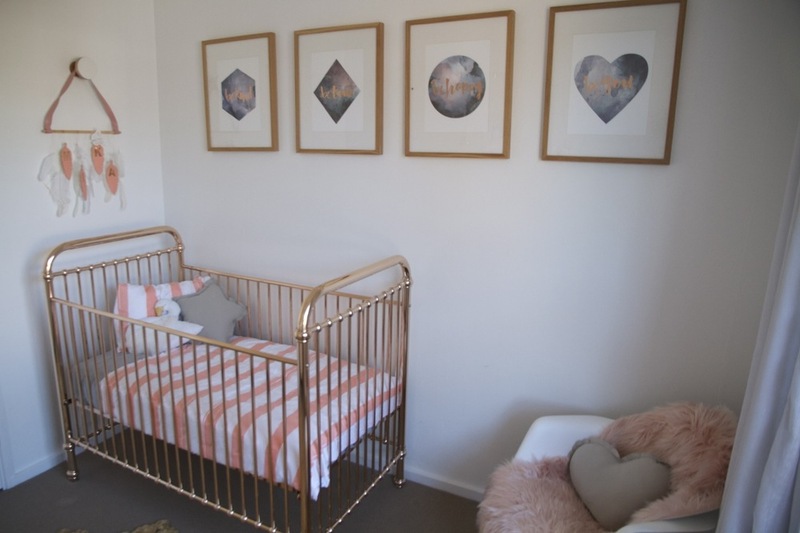 So without permission from Caleb and with every intention of selling my current cot, I went to Gorgi and ordered their Ellie Rose Gold Cot by Incy Interiors. 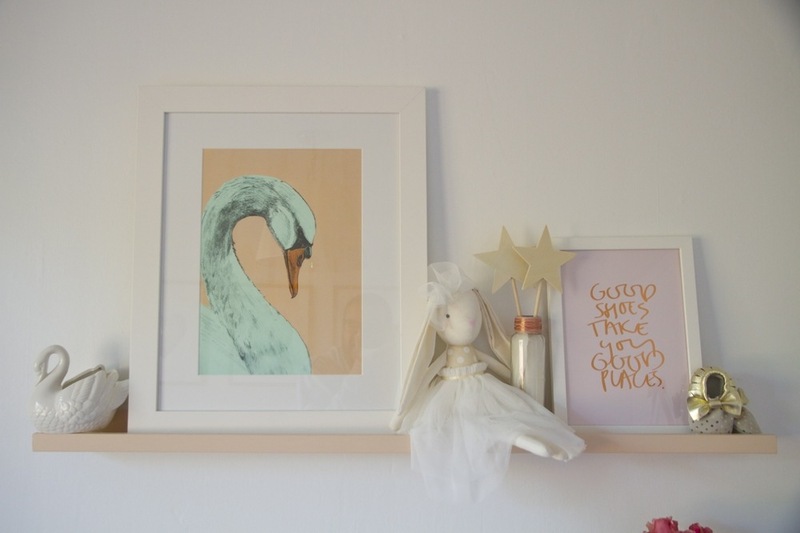 I had already purchased a swan print from OnceIt, and with these two elements I set my colour scheme - light peach, coral and rose gold. 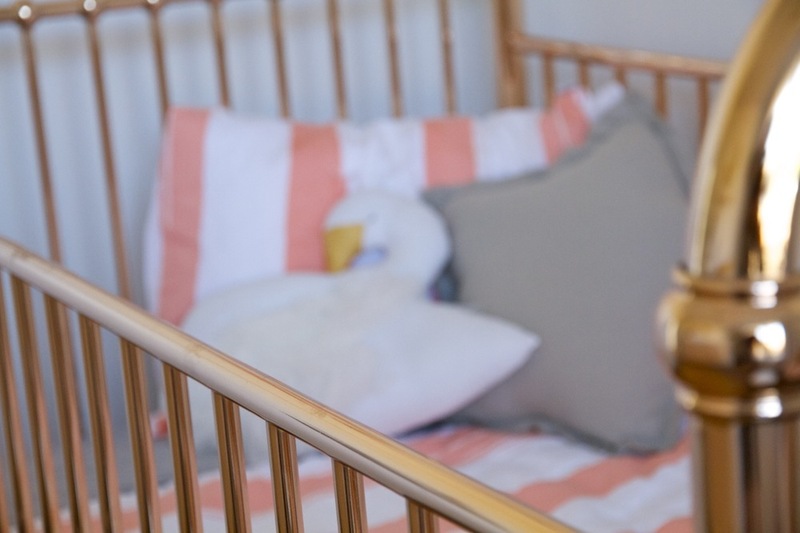 I love a strong theme in a nursery, for my baby girl I decided on swan princess, which meant I introduced feathers, rose gold detailing and plenty of swans. 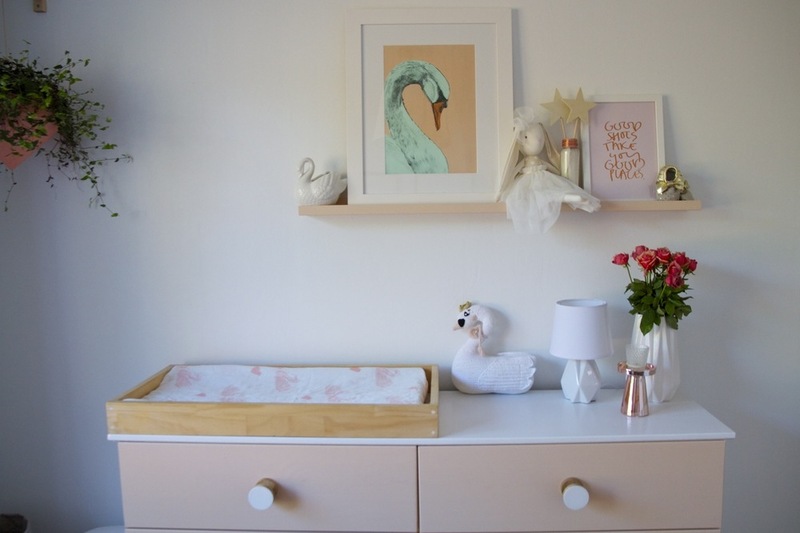 Here are some images of her little nest, as well as a long list our where everything was purchased from! 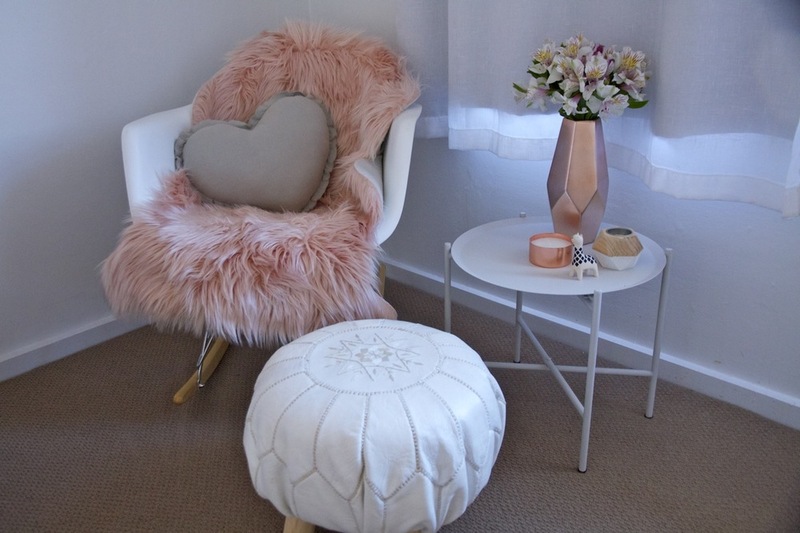 Rocking Chair - JS Interiors. Hide from Kmart. 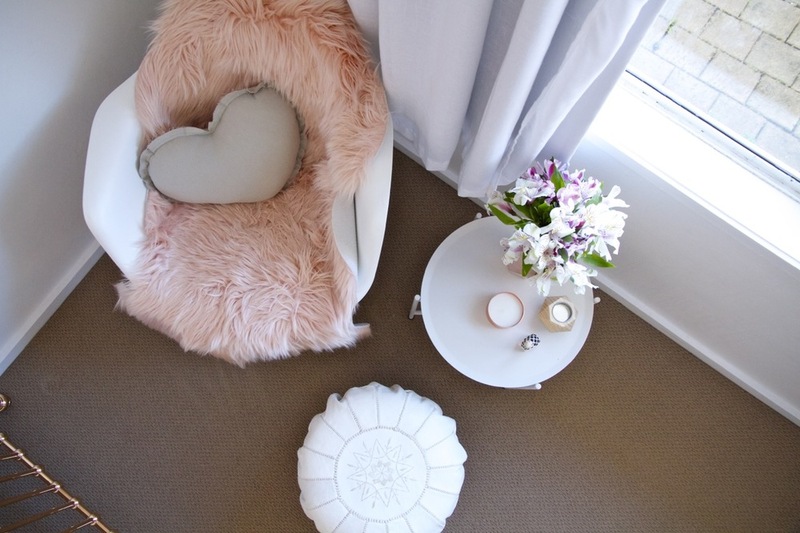 Heart cushion from Kids Caravan. 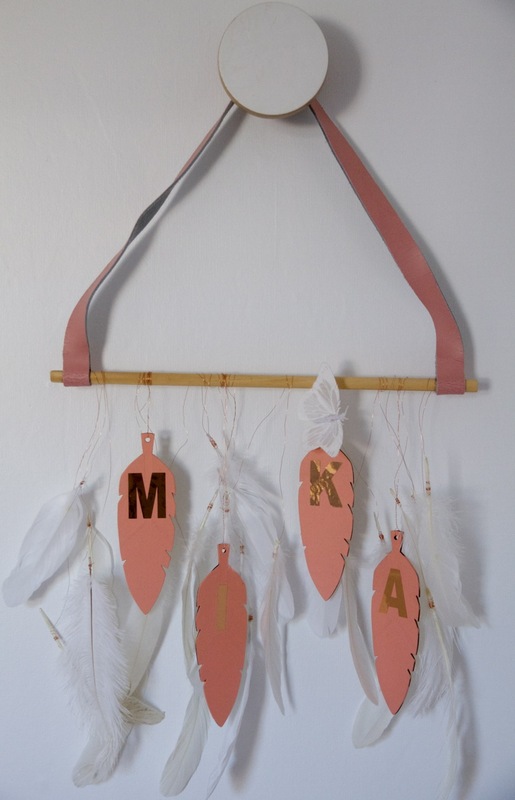 Feather Wall Hanging – Made by Alice. Feathers and cooper wire from 2 Cheap. 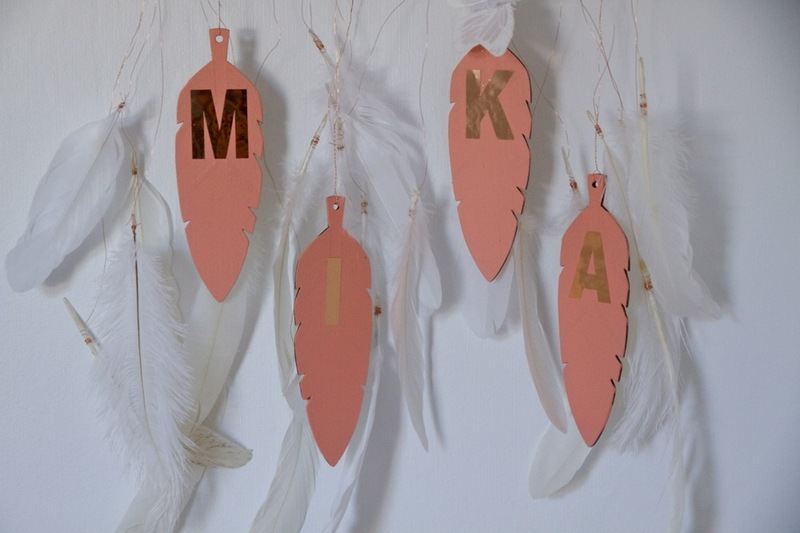 Pine feathers from Kmart, painted Havelock North by Dulux. GE Wall Hook from Cheeky Raskal. 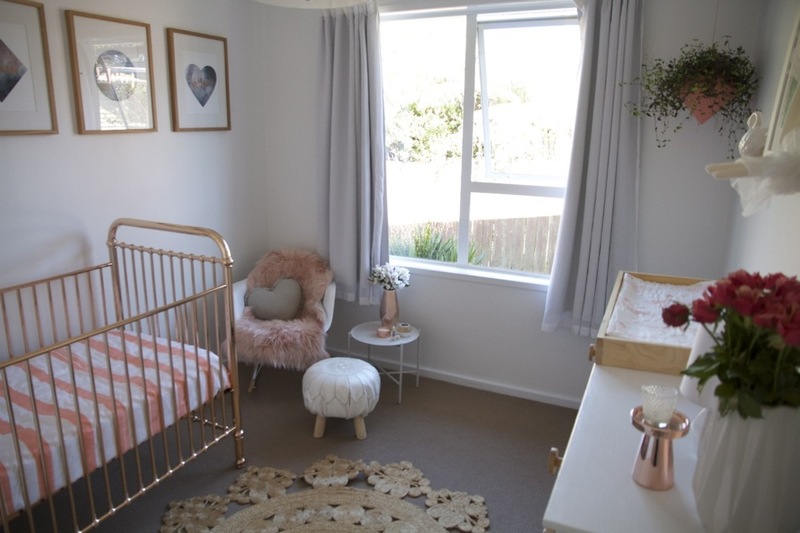 If you would like me to assist in designing your child's nursery or room, find out about my styling services at Little Nest. 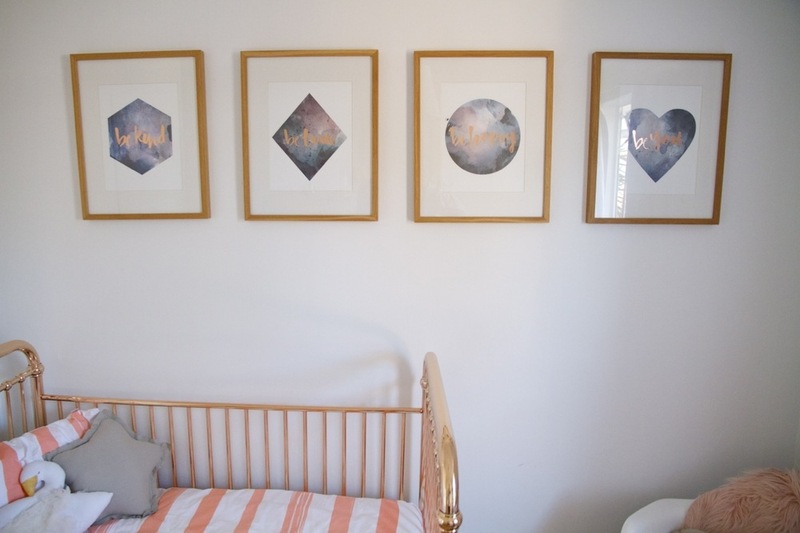 Posted on June 23, 2016 by Alice Pearson and filed under Interior Design and tagged bedrooms Interior Design interior styling little nest nursery.